Particularly functional console table with practical shelf. Creative independence. The TUB line is all about the exciting interplay between right-angled corners and curved surfaces, with a clear design statement and an open expression of its outstanding functional credentials. 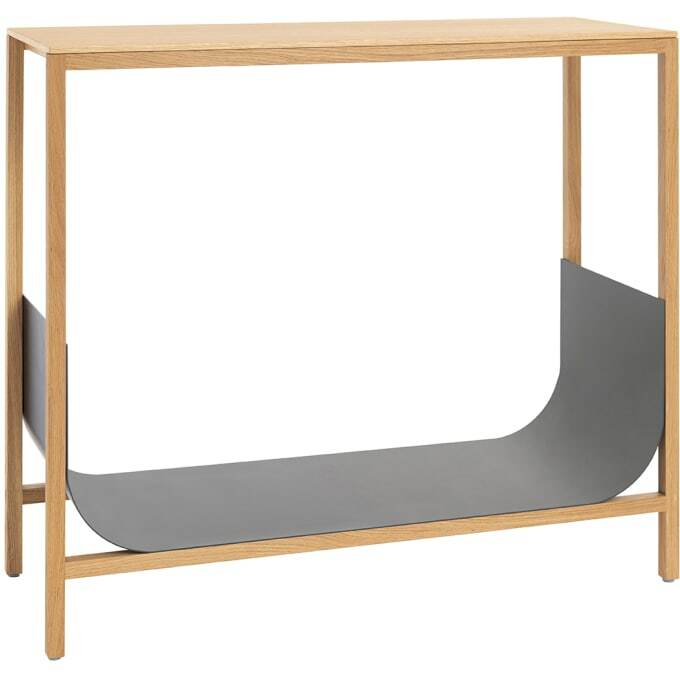 Made of solid wood and metal, it is extremely sturdy. It is crafted either from natural oiled oak with a metal tray powder-coated in granite, or entirely in black with painted, open-grained oak and a matching tray. The tray is very handy for storage and great for keeping shoes in entrance areas. A hand-crafted highlight. Do you have a question about "Tub 1440"? How can we contact you?